After completing the Course Registration Form below, you will be sent a Thank You email with a payment feature. You can pay with a debit or credit card through paypal. Tuition for this course is only $269. After payment is made, you will then be directed to the first page of the online course - Preparing Florida Divorce Documents. Please remember to save the link. If you navigate away from that page, the link will disappear. If you have any questions, please do not hesitate to contact us - 800-515-0496 - staff@faldp.org. 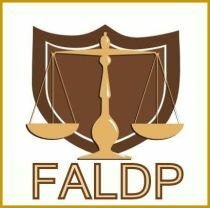 All FALDP courses are self-paced and online. Students may return to the course at any time to review course information. Forms are included in this course; and we make every effort to update them regularly. Please read about our course policies prior to submitting payment. Students will learn and understand the different divorce processes in Florida. Petitions for Dissolution of Marriage; Petition to Determine Paternity and Related Relief; and Answers are discussed and explained. Supreme Court approved forms are included in this course. Petition to Determine Paternity and Other Relief - is included in this section because it is similar to a Petition for Dissolution, but it is used for couples who are ending their relationship; who have children together; but were never married.